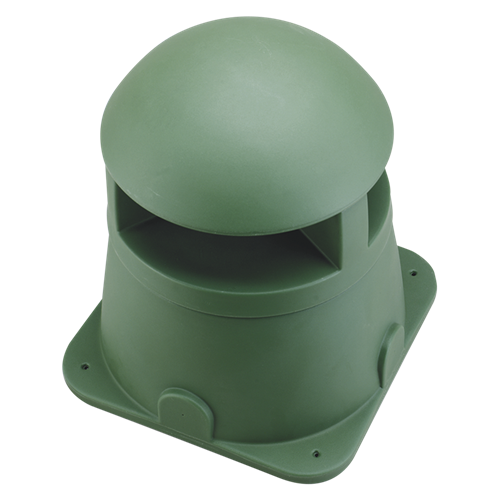 The AtlasIED ATS183GL garden speaker, designed for theme parks, hotels, or any architecturally landscaped area, simplify installation and deliver deep, rich sound. The speaker is a coaxial 8", polypropylene/kevlar cone with rubber surround, 1.5" voice coil, 21 oz. magnet and a 1/2" mylar dome tweeter. The AtlasIED garden speakers are designed to blend into any environment. They are available with two different base models. Model includes a deep base for in-landscape burial. The two-piece design allows for a two-phase installation. In phase one, the base is installed. Phase two, after initial construction is done, the system contractor can return to install the speaker/transformer. This multiple step process protects the speakers from being damaged during the construction/landscaping process and also eliminates the potential for theft from the construction site. 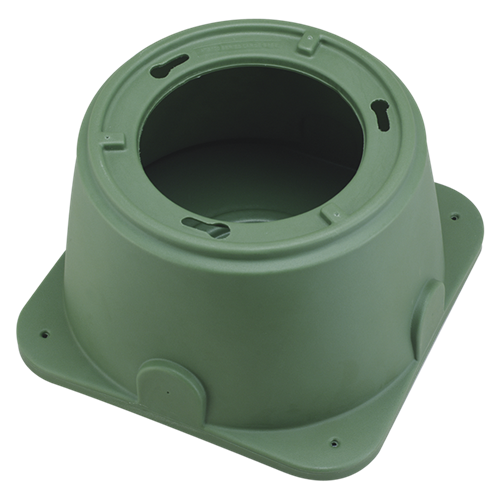 The ATS183GL Garden Speaker base even has a protective cover to keep debris out during construction. Inside the enclosure is a durable 8" coaxial speaker with a great sounding 360-degree horizontal dispersion pattern. The enclosure is made of stable polyethylene, which ensures performance in even the most temperamental and unpredictable climates. Rugged construction can support up to 250 lbs.